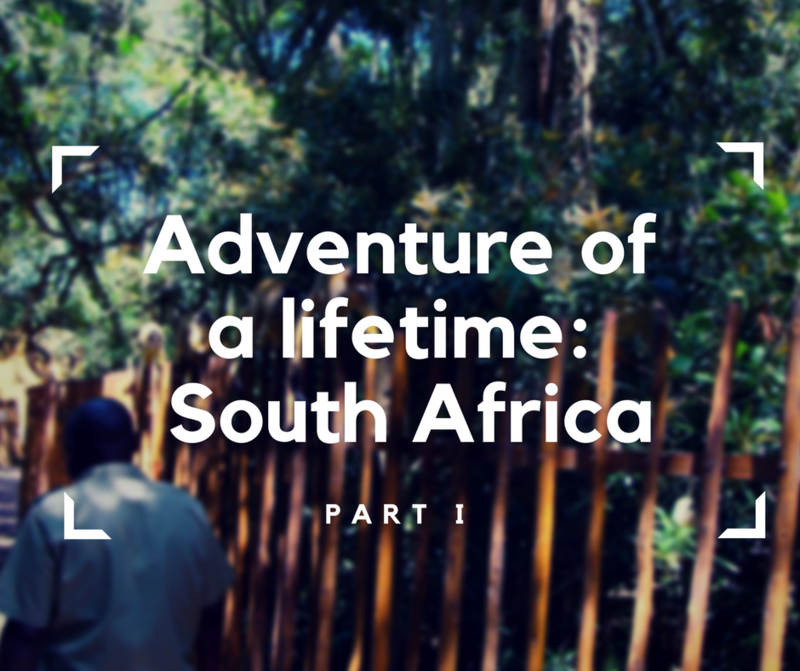 Adventure of a lifetime – that’s how I would call my trip to South Africa. I hope to experience many more beautiful moments and explore various new places thanks to my Blumil electric wheelchair, but I know wherever I go, South Africa will remain engraved in my heart. I always talk about my love for Barcelona, and I call it my favourite place, but there’s a simple reason behind: South Africa’s just too far away to become my go-to travel destination. Still, if I were to choose my favourite place on the Earth, South Africa would be on the top of the list. It’s the most diverse country I’ve seen: I found everything I was looking for there. I spend two weeks there and these were, hands down, one of the best weeks of my life. RSA has so much to offer that two weeks seemed like two days – diversity and abundance of life around us was astonishing. 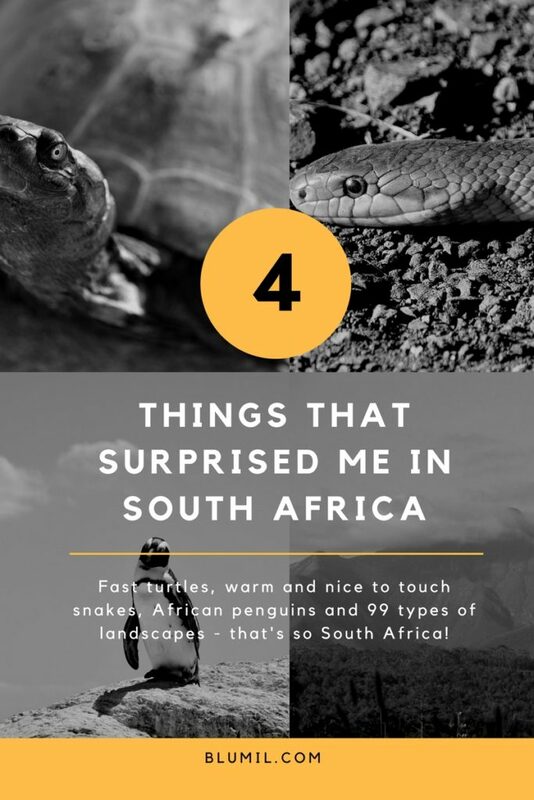 Since I have so much to tell, it’s the first part of my South Africa story – one post wouldn’t be enough to describe all wonders I saw there. 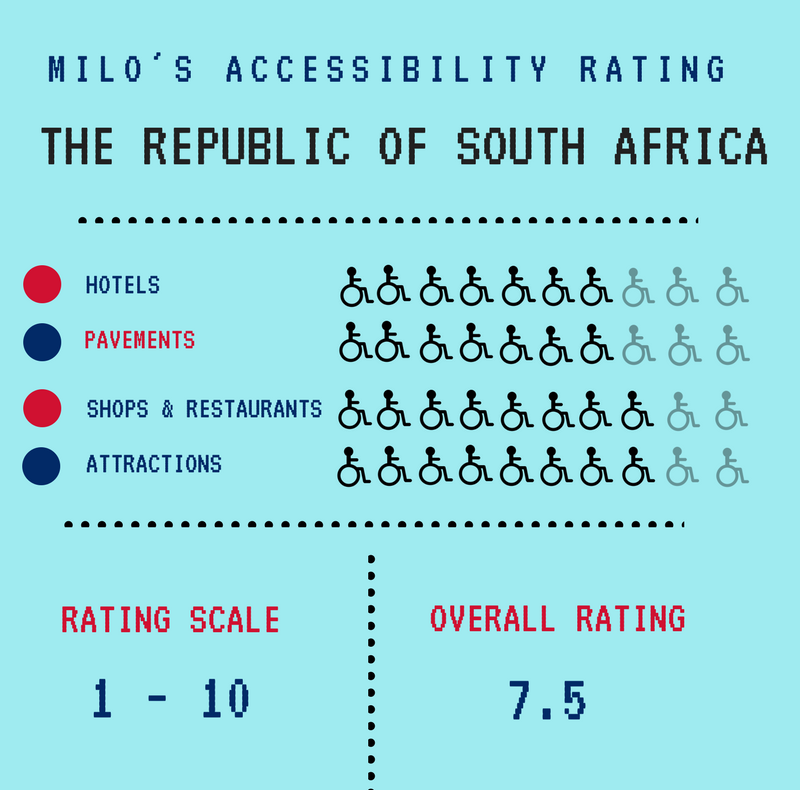 What to do, what to see and how accessible South Africa really is – all about it below! In my memories, South Africa comes in many colors and shades. It comes back with flashes of pine forests, green jungles, and safaris. Green, brown, blue, yellow, brown, orange – there are all colors of RSA. I was struck by the beauty of everything I saw and surprised to see so many supposedly different landscapes paired together. The weather’s mild, and landscapes are wonderful, so there’s one question coming to my mind… could it be a Para-para-paradise? 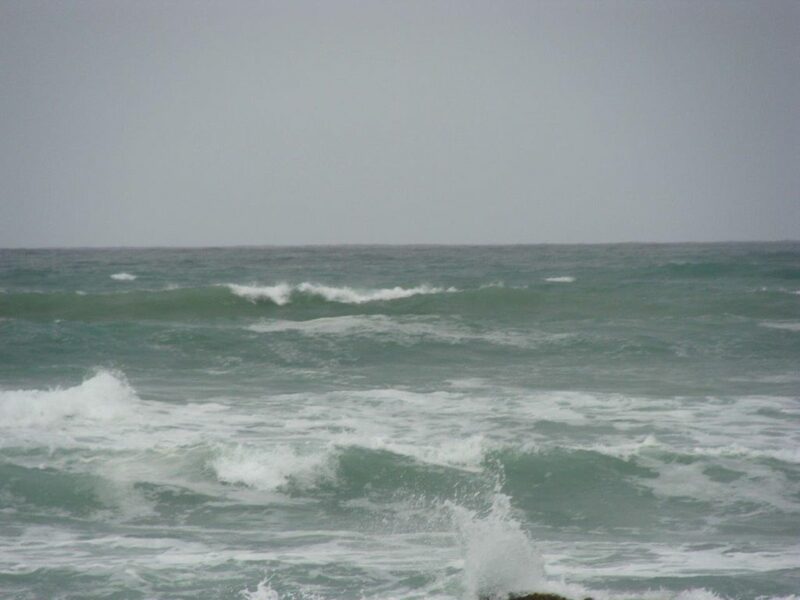 Garden Route is 300 kilometers and it starts in the Western Cape – Mossel Bay – and stretches to the Eastern Cape – Storms River. It’s one of the most popular touristic routes in RSA and for a good reason. You may think… 300 kilometers is quite a short distance so how many things could I see? My answer is… plenty! Wonderful beaches, lake, lagoons, hills, and mountains – that’s what you can expect from Garden Route! We took it and that was a wonderful choice. Every step of the way we would stumble upon something beautiful: the sense of wonder was in the air. That’s just South Africa! What to see in South Africa? Since Cape Town is quite famous for its beauty, I was thrilled to see it. There was one question in my head: would it live up to the hype? It did. It was absolutely marvellous and now I can understand all these people who are in love with the city. What’s there not to love? 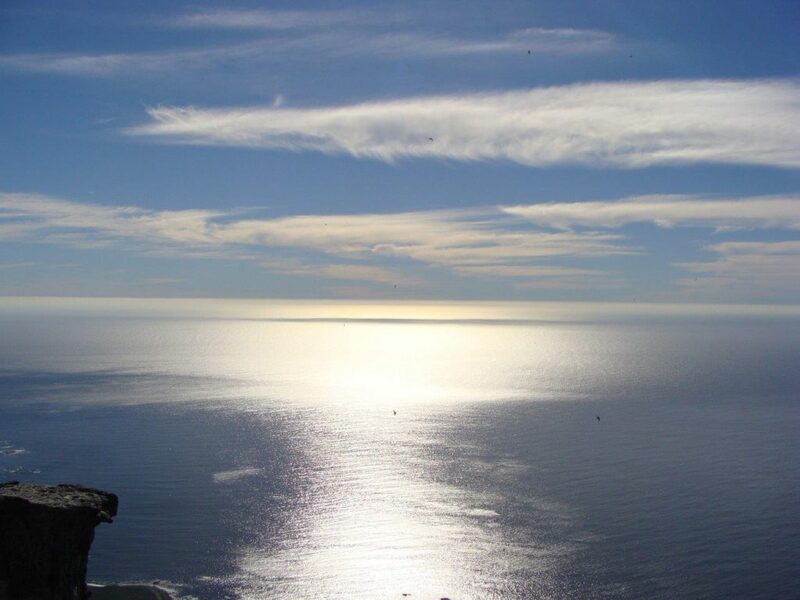 There are many things to do in Cape Town – it’s a coastal city but with a mountainous touch. 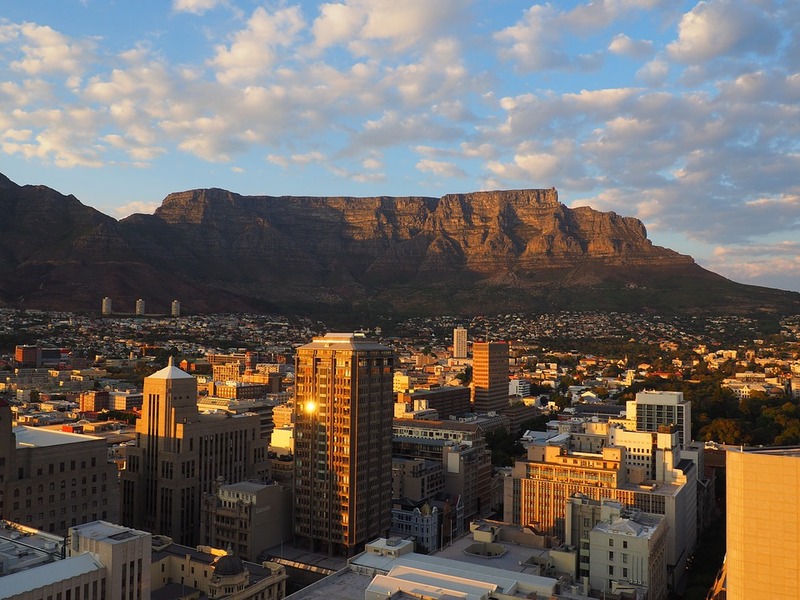 Table Mountain, quite flat and popular among hikers, contributes to the city’s beautiful panorama. I spent a week exploring Cape Town and neighbouring places and I wasn’t bored even for a second. It’s just a wonderful place. 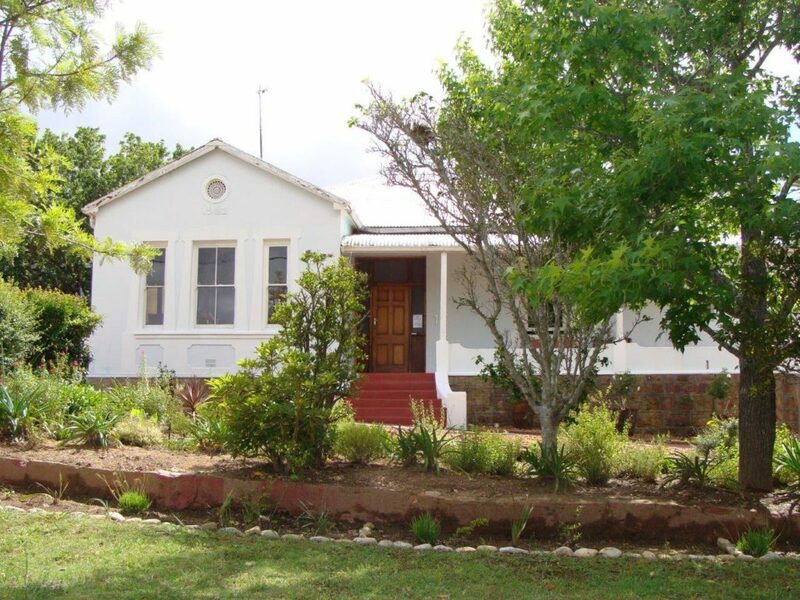 While Cape Town itself is extremely interesting so are its neighbouring areas. Kirsten National Botanical Garden was definitely a wonderful place to visit. Filled with beautiful flora garden was just a delight to look at. I heard that many people find it one of the most beautiful botanical gardens in the world. It is home to many rare and endangered species, and I would definitely recommend you to visit it – especially if you love nature! 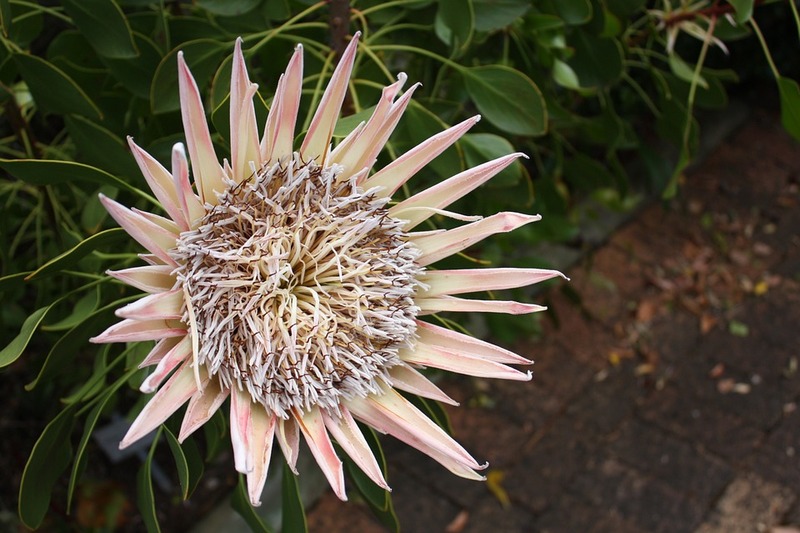 King Protea – one of the symbols of RSA! Robben Island’s located closer to Cape Town and it’s famous as it is a place where Nelson Mandela was imprisoned. While I’m more into nature and sports than history, it was worth visiting. Since Mandela’s impact is great, we couldn’t skip Robben Island on out to-visit list. After all, he was imprisoned there for 18 years and we wanted to learn more about the history of the beautiful country we were visiting. Definitely a must-visit destination! While penguins and Africa may not be the most common mix… they go together in Cape Town! 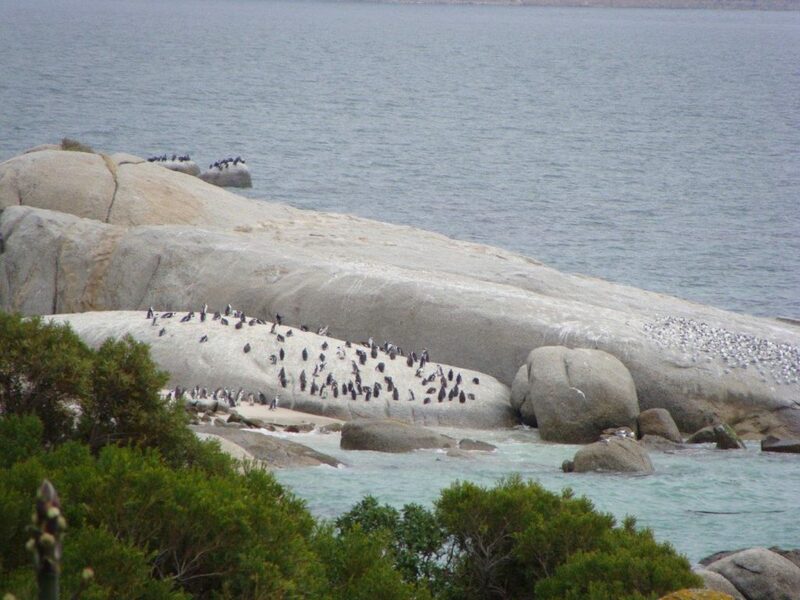 African penguins can be seen on Boulders Beach in Cape Town. Most noteworthy: it’s one of the very few places where you get so close to penguins! I was surprised to see them, but just for a moment. They truly belong to the place, and us – human visitors – may feel like we’re in the meeting with kings. Ultimately, penguins rule the Boulders Beach with their penguin grace. Could it get any cooler than African penguins? I doubt it! South Africa has a lot of surprises, but there very a few things in particular which caught me off the guard in RSA! Turtles are fast! I learned it when one of them tried to take me the town. What a terrifying experience! Had I had an electric wheelchair, like Blumil, back then… it would have run away quicker! Snakes are surprisingly warm and nice to touch! I would have never guessed they could be! Penguins… well, I didn’t expect to find them in South Africa! The diversity of landscapes – RSA feels like 99 countries in one! We were mostly staying in the B&B type of places so their accessibility would vary. Generally, the situation was above average and it was not mission impossible to navigate. 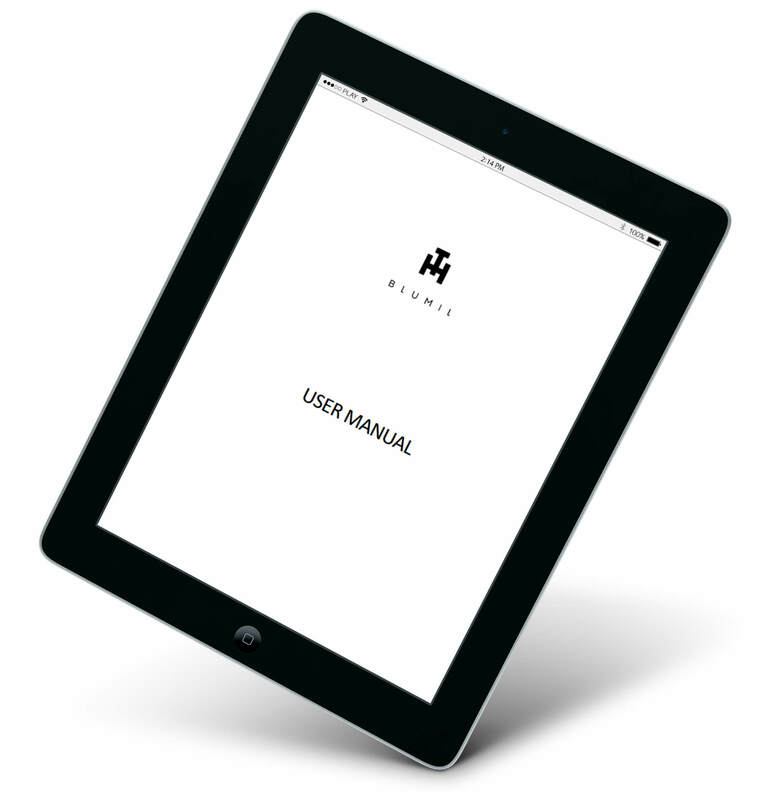 With an electric wheelchair, it is definitely easier, but a manual wheelchair could probably manage too – not with ease, though. One of the places we stayed in! Most of the attractions could be accessed easily. Not all of them – some were definitely not accessible, but generally, I didn’t have many problems exploring the country. Again – with Blumil it would have been much easier. The electric wheelchair was made for accessible traveling! Some pavements were quite bumpy and I had to be extremely cautious, but generally, the situation was good. I could access most of the restaurants with ease. Thresholds were not high and if they were, ramps would be there most of the times. All in all: shops and restaurants were quite accessible, both for manual and electric wheelchair users. If there is still a paradise left on this Earth, it must be South Africa. The abundance of life and diversity we can find there… it is just mindblowing. 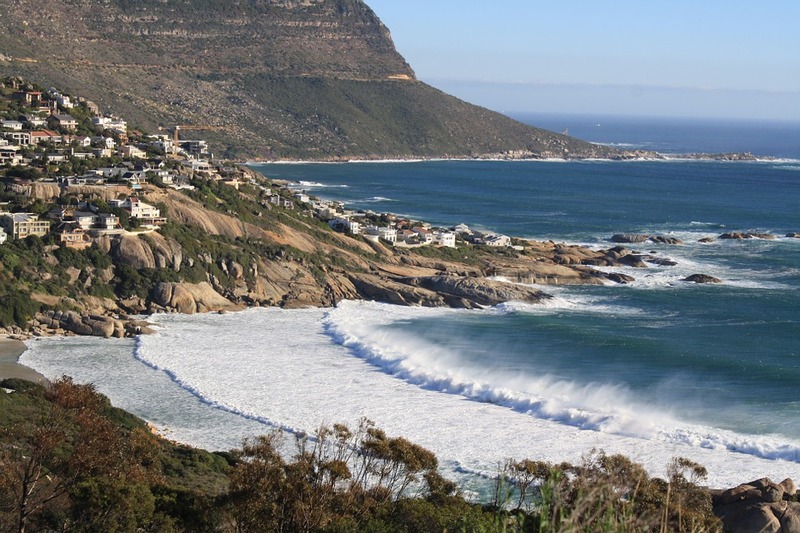 From Cape Town’s charming beaches to national parks and blue lagoons – RSA has it all! In Part II I’ll talk more about Garden Route and other wonders of the country so stay tuned!